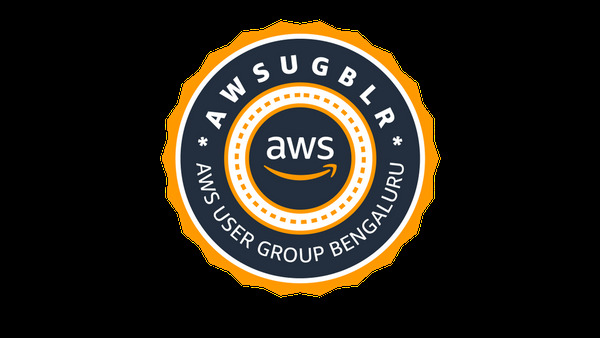 Owing to the success of our Feb 2019 meetup on Build with Serverless by Prashanth HN co-organizer of AWS User Group, Bengaluru and overwhelming appreciations in social media, we had a request from Marcelo Palladino, co-organizer AWS user group Sao Paulo to schedule an online presentation to the Sao Paulo user group members. That casual conversation in twitter didn't end there! Prashanth & Marcelo continued to brainstorm to give the initial notion, an identity in the form of a web session! It wasn't easy due to timezone difference: Sao Paulo meetup usually happens at 7:00 PM on a weekday and it sounded unrealistic for Prashanth, a typical Bengalurian who would obviously be in deep sleep at 3:00 AM. So Marcelo ran a surgery to understand if people would be interested in the talk and attending this meetup at a different time. 100% of the survey turned out to be Yes and we are all set to make a new record! To make it convenient for both time zones, we decided to do it at 10:00 AM BRT / 6.30 PM IST and marked the calendar for 27th April 2019. Knowledge sharing is amplified to cross the geographical boundaries through e-meetup. Way to go, @prashanth and @awsugblr ! Thanks to Marcelo for the effort to plan for this e-meetup and all the very best for Prashanth.